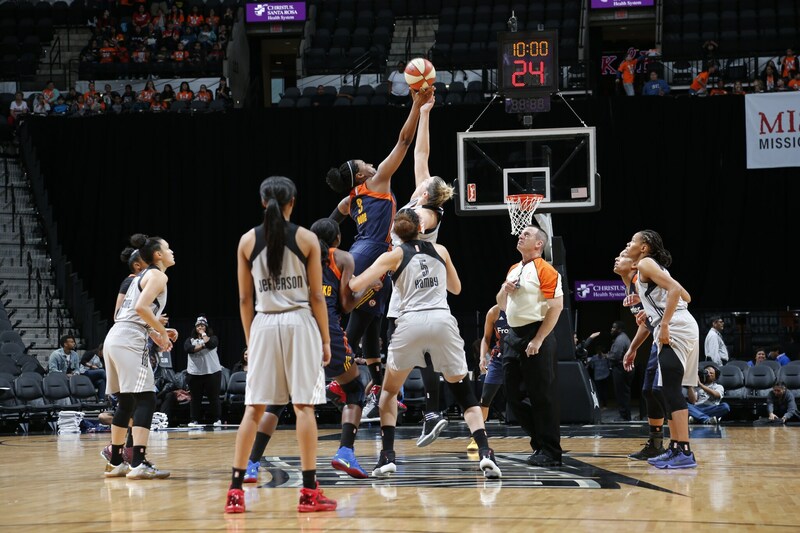 SAN ANTONIO, TX - MAY 19: Alyssa Thomas #25 of the Connecticut Sun handles the ball against the San Antonio Stars on May 19, 2016 at AT&T Center in San Antonio, Texas. SAN ANTONIO, TX - MAY 19: Chiney Ogwumike #13 of the Connecticut Sun during the game against the San Antonio Stars on May 19, 2016 at AT&T Center in San Antonio, Texas. SAN ANTONIO, TX - MAY 19: Kayla McBride #21 of the San Antonio Stars drives to the basket against the Connecticut Sun on May 19, 2016 at AT&T Center in San Antonio, Texas. 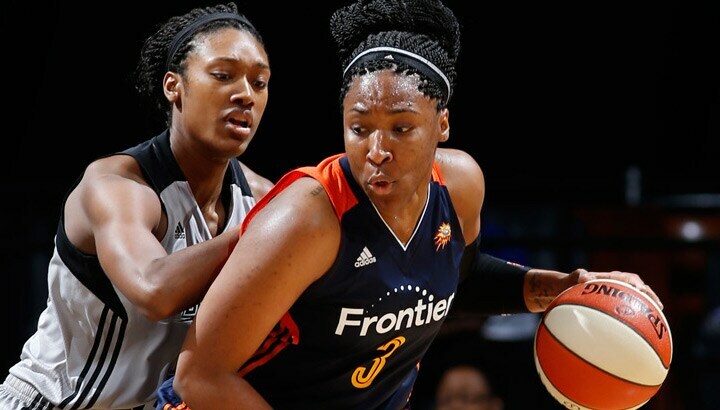 SAN ANTONIO, TX - MAY 19: Kayla Alexander #40 of the San Antonio Stars drives to the basket against the Connecticut Sun on May 19, 2016 at AT&T Center in San Antonio, Texas. SAN ANTONIO, TX - MAY 19: Jayne Appel-Marinelli #32 of the San Antonio Stars shoots the ball against the Connecticut Sun on May 19, 2016 at AT&T Center in San Antonio, Texas. 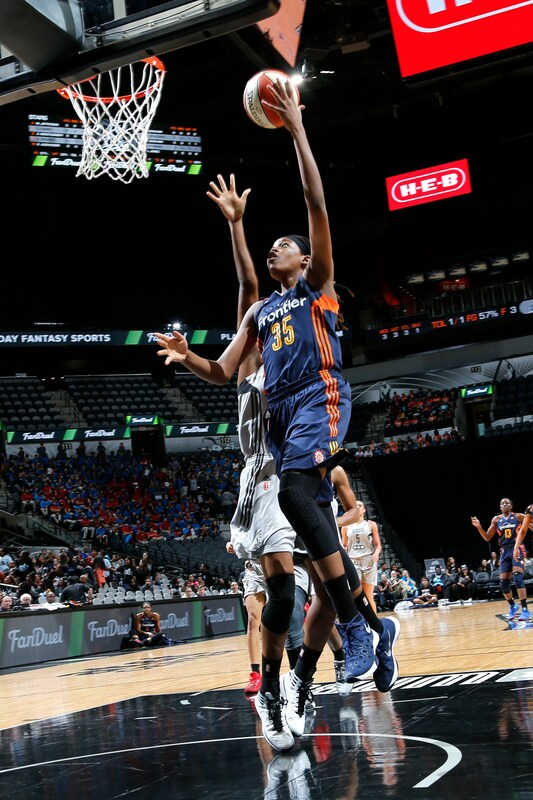 SAN ANTONIO, TX - MAY 19: Jonquel Jones #35 of the Connecticut Sun drives to the basket against San Antonio Stars on May 19, 2016 at AT&T Center in San Antonio, Texas. SAN ANTONIO, TX - MAY 19: A jumball between the Connecticut Sun and the San Antonio Stars on May 19, 2016 at AT&T Center in San Antonio, Texas. SAN ANTONIO, TX - MAY 19: Camille Little #2 of the Connecticut Sun shoots the ball against the San Antonio Stars on May 19, 2016 at AT&T Center in San Antonio, Texas. SAN ANTONIO, TX - MAY 19: Kelsey Bone #3 of the Connecticut Sun handles the ball against the San Antonio Stars on May 19, 2016 at AT&T Center in San Antonio, Texas. 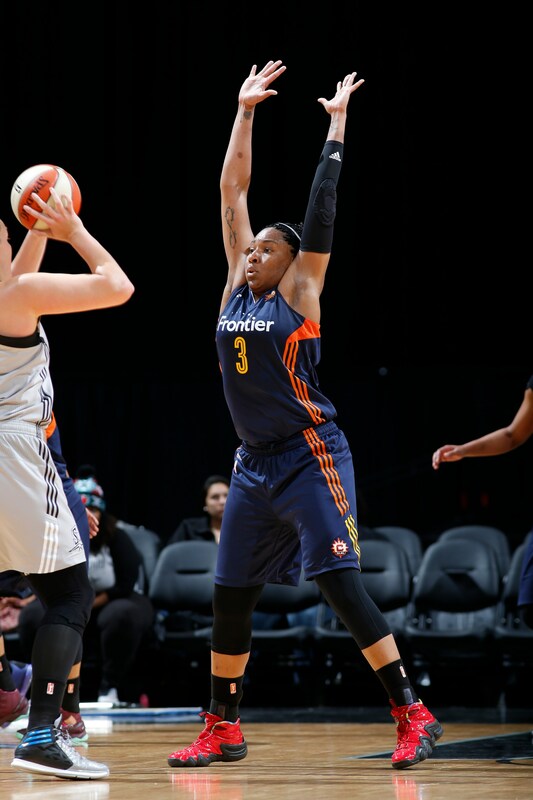 SAN ANTONIO, TX - MAY 19: Jasmine Thomas #5 of the Connecticut Sun calls out a play against the San Antonio Stars on May 19, 2016 at AT&T Center in San Antonio, Texas. SAN ANTONIO, TX - MAY 19: Kelsey Bone #3 of the Connecticut Sun defends against the San Antonio Stars on May 19, 2016 at AT&T Center in San Antonio, Texas. 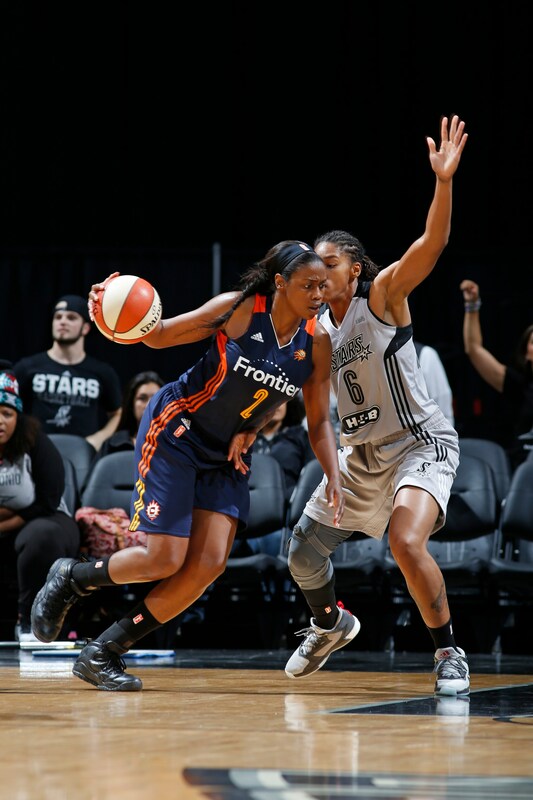 SAN ANTONIO, TX - MAY 19: Chiney Ogwumike #13 of the Connecticut Sun shoots a free throw San Antonio Stars on May 19, 2016 at AT&T Center in San Antonio, Texas.